Hurry to get a FREE Mrs. 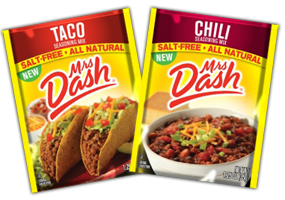 Dash Taco or Chili Seasoning Mix Packs Samples! All players who participates in the READY, SET, WIN! Game will receive a sample, up to 75,000 players or while supplies last.